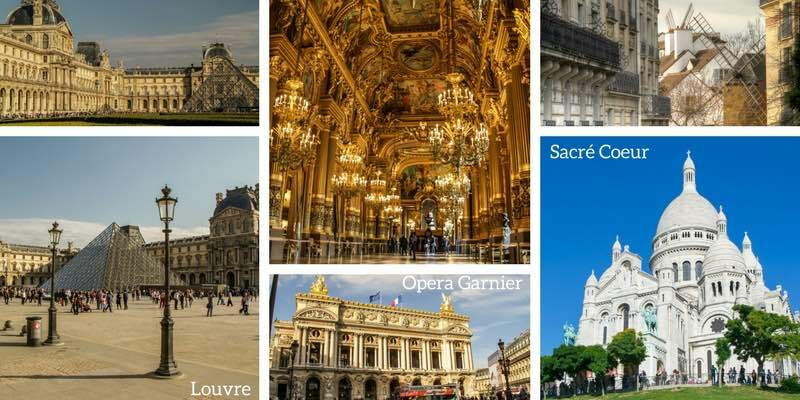 Planning 3 days in Paris, France to explore the romantic city? Wondering what to do? Well that depends on what you like... There is so much to see! 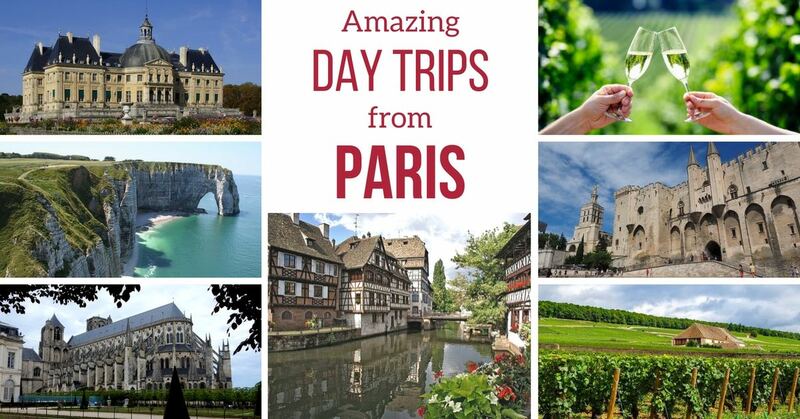 So to help you narrow down your options, you can find, in this extensive guide, 10 suggestions for a 3 day Paris itinerary - highlights, art, off the beaten path, historic, romantic, with kids,... All to have the best time in Paris over your long weekend! BE READY - Before traveling, read the typical scams you can find in Paris (like in many other big cities) just to be ready. I have listed them at the end of this article. But don't worry, it is quite easy to spot and avoid them! And don't forget to purchase Travel insurance! I wish you a very smooth trip, but my policy is: better be prepared. I personally use World Nomads. Get a quote online here. I have been both a traveler and a local in Paris. I have lived there for more than 2 years. 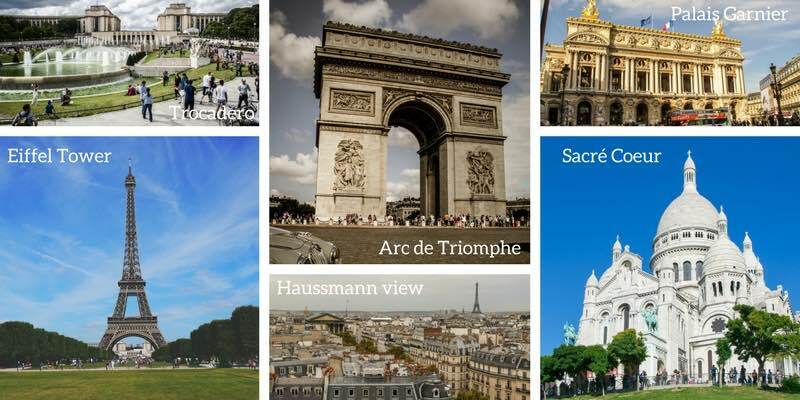 This is not Paris in 3 days by Rick Steves or Lonely Planet... these are my suggestions as a travel planning addict 🙂 - As always, no restaurant recommendation since I don't know what you like and chefs change... This is my selection of the most scenic and interesting places to see in Paris when you are staying only for a long weekend. I like to keep busy and see as much as possible, so it is up to you alter based on your preferences. I hope you will find the article useful should you spend your whole holidays in Paris or just a few days on a European Trip. The is the perfect introduction for a first timer spending three days in Paris. Start early, to avoid the big queue to enter. Admire the stained glass, sculptures and size of the building! Walk to the Seine River and admire the cathedral from the back! It is not a classic but it so should be!!!!! This is such an incredible building (see my photos). So if you started early, take the time to walk to Sainte Chapelle (Less than 10min walk) and admire the most impressive stained glass windows you will ever see. It is especially worth it on the sunny day! You can pre-purchase your ticket so that you can skip the line, show your document at the beginning of it and go straight in. 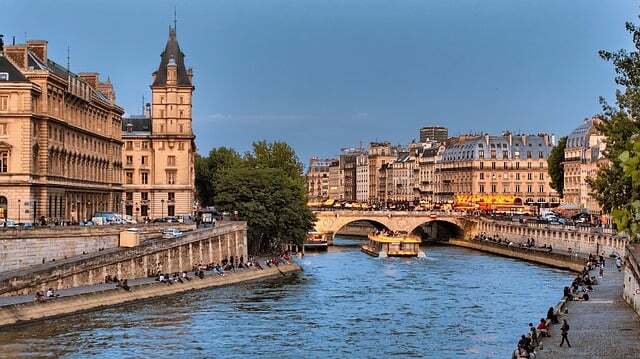 Take the Hop on Hop off Green Route (Paris grand tour route) at stop 6 Notre Dame - enjoy views along the Seine River, past la Conciergerie and Musee d'Orsay. Go up to Champs-Elysées - choose stop 10, 11 or 12 depending on how much you want to walk. Enjoy one of the most famous buildings in Paris with the crazy roundabout! Take the underground passage to reach it. Lots of walking involved today! You first option is to simply enjoy the garden, the pyramids and the buildings from the outside. The park is big and will keep you occupied. Or visit you could visit one of the most renowned museums in the world! Visit the beautiful Opera that is a little like a mini Versailles Castle with beautiful corridors and ornaments. Take the Hop on Hop Off Yellow Route (Montmartre - Grand Boulevard Route) from stop 58) and get to 52 stop Montmartre Sacré-Coeur. Climb to the top of Montmartre or enjoy a funicular ride. Admire the magnificent view and visit the Basilica (no photos allowed inside). Explore the charming hill with its unique artsy atmosphere. If you purchased you Hop on Hop off bus ticket for 2 or 3 days, a River cruise is included. Head to the Eiffel Tower and enjoy the iconic structure. Walk to stop 34 and take the Hop on Hop Off Orange Route (Montparnasse - Saint Germain Route) and get to 31 Denfert-Rochereau / Catacombs. In the afternoon, head to the spooky Catacombs and explore the underground of Paris. it is one of the most appreciated experiences in Paris but it can be disturbing for some considering the underground location and the huge quantities of bones. But if you prefer nature to dead people, Stop at 36, go admire the Pantheon and explore the Luxembourg Gardens (a favorite for Parisians). At stop 31 take the Hop on Hop Off Orange Route (Montparnasse - Saint Germain Route) and get to 33 Montparnasse PLace du 18 juin 1940. Get up to the viewing platform of the Montparnasse Tower - appreciate the bird eye views of Paris. Stay there until sunset if you can! You will see the soft lights on the old architecture and then the Eiffel Tower lighting up. You can pre-purchase your Montparnasse tower ticket to avoid the purchasing line but you still have to queue to take the lift. Are you ready to walk a lot during your 3 days in Paris? You can already see so much for free by exploring on foot! Want to stay connected while in Paris? If you don't have a European phone plan, be careful with your usage! But changing SIM card can be a pain. So companies are renting pocket wifi hotspots on which you can connect several devices to keep chatting with friends or use Google maps. It departs near the Eiffel Tower. Explore the magnificent Place which houses the Opera. This is like a Mini Versailles in the heart of Paris with a corridor full of glass, gold and marble. Take the Batobus to the Eiffel Tower and discover the iconic Iron Lady. Paris has a fantastic Natural History museum at the end of Jardin des Plantes. Kids can see giant animals, skeletons and learn more about their eating habits and all. In the afternoon you can take them see live ones at the Vincennes Zoo with its fake mountain and large enclosures. Alternatively for something more historical, you can visit the small zoo La ménagerie in Jardin des plantes (next to the museum). It is the oldest zoo in the world as it opened in 1793 - small animals but in old settings. Another type of zoo experience. It is famous for its view through the clock and the world's finest collection of impressionist paintings with Monet, Degas, Renoir, Delacroix and many others. If you did not purchase the museum pass, pre-purchase your Orsay ticket to avoid the lines, it is worth it. This museum is often overlooked, maybe because entrance is free, but it is home to a small permanent collection with paintings from Delacroix, Cézanne, Monet, Pissaro and more. And it is in a great building! If you love Claude Monet, go to this smaller Museum in an old Parisian mansion to see a wide variety of his work. Check some of the most renowned paintings of Monet including the 8 water Lilies Murals. 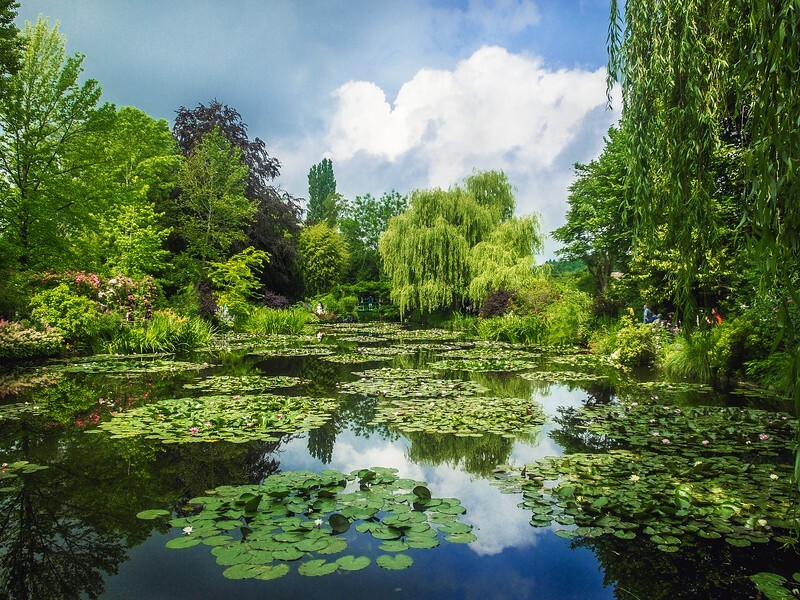 Head to Giverny, North of Paris, to visit the home of Monet and its famous gardens that inspired him so much. This is where he created some of its most iconic paintings. Giverny also has a museum about Impressionism in general. There are so many art museums in Paris, it is difficult to choose from... So here is an itinerary that will include a little bit from all periods! Start the day with Medieval Art - This is quite a unique museum where you can enjoy beautiful medieval art such as sculptures, tapestries and jewelry. Enjoy a huge choice or art throughout the ages at the Louvre Museum. So much to see! Just pick the period that interests you most (egypt, roman, modern...). And of course it is home to the famous painting of Mona Lisa. Change style with a Street Art tour taking you to the upcoming Belleville area. This is quite a change from the Impressionists! Great to see some of the pieces that take advantage of the environment. Take Metro 11 to Châtelet. ​Finish with a great collection of modern art in a unique building. Centre Pompidou is a world renowned museum with visual arts, photography, new media... It covers many movements including Cubism, surrealism and geometric abstractions. You can keep busy all day at the European MOMA! Pre-purchase your Pompidou entrance ticket to avoid the queues! 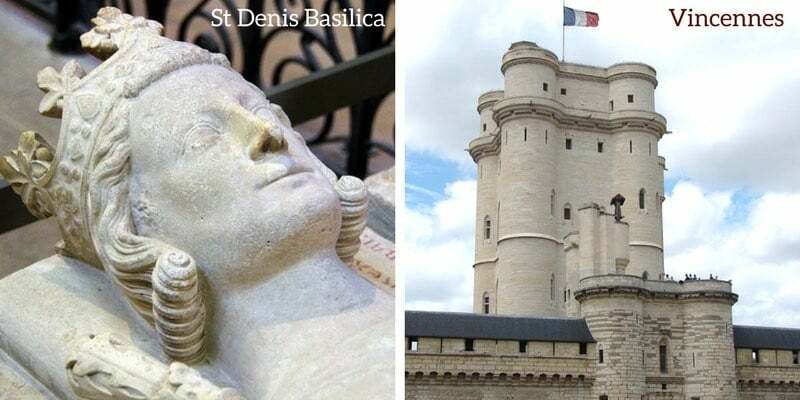 If some of you want to spend your 3 days in the footsteps of the Kings and Queens in Paris, here is my suggested itinerary. One of the most impressive building along the Seine River is La Conciergerie even if it is lesser known than the Louvre. This Medieval palace was the residence of the rulers for 5 century until the 15th. During the French revolution it became a prison where Marie-Antoinette lived her last few days. You can visit the huge hall of soldiers, the Guards room and much more. 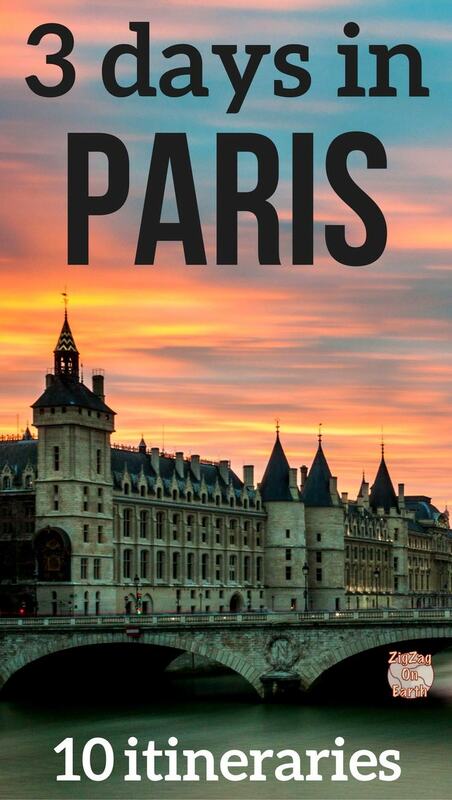 Get a combined ticket for the Conciergerie and the Sainte-Chapelle - skip the line and save money! Construction of Notre Dame started during the 12th century under Louis VII. Many Kings made alterations over the century creating the magnificent building it is today. Explore the area of the Louvre - don't visit the museum but explore the outside of the magnificent royal palace. Find out all the details in the architecture, the sculptures and the touches of many rulers. Head out of Paris to discover another grand palace - visit the Versailles Castle with its magnificent garden and incredible interior decor. Don't miss the long corridor full of mirrors and chandeliers! It is easy to feel like you are traveling back in time and imagine the a big ball organized by the King and Queen. How to best visit Versailles? If you are really passionate about Royal History, you should get just ouside Paris once again today. First head North to the Basilica of Saint Denis. It is a large burial complex with 42 Kings, 36 queens and many princes and princesses buried in this historical building. East of Paris, you find the lesser known Château de Vincennes. Several dynasties had chosen this palace as their home. It was built in 1410 by Louis VII and later developed at a royal residence. It is quite recognizable with its tower. Louis XIV was the one who moved to Versailles. If you have time, enjoy a walk along the Seine River or take a cruise to admire all the bridges. Spend the morning admiring the work of the architect Haussmann under Napoleon. He re-invented Paris with large boulevards and a certain type of buildings. Walk around in the Grand Boulevard, head to St Trinity church. From its small garden you have a great view of many typical Haussmannian buildings with shops on the ground floors, high ceilings, a second noble floor with large balcony and a 5th floor with a running balcony that is here only for aesthetics. With more than 500,000 pieces you can keep busy all day! Avoid queueing at the ticket booth, pre-purchase your Army museum entrance. 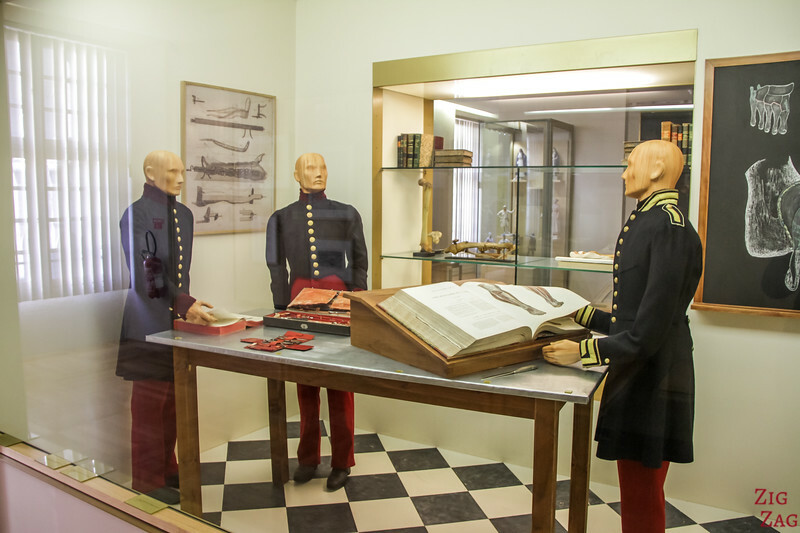 If you want something original off the beaten track, I recommend the Museum of Army medicine. It is quite a unique place to visit. I really had a great time and was almost alone! Located in Val de Grace, you have to buzz at a small door to be allowed in, but don't worry it is open! In the museum, you can find many instruments and tools used by doctors during the wars. The collection is quite impressive, plus it gives you access to a small magnificent church (Val de Grâce). There is also a National Navy museum but it is closed for renovation until 2021. To best discover Paris off the beaten path I recommend to just go for a walk and see what you find. My suggestions are of course to mix the suggested itineraries above. Enter a Boulangerie and buy a baguette. Dites: "Bonjour, une baguette s'il vous plait!" and then "Merci. Au revoir"
Find a Patisserie with colorful and delicate cakes and taste one - don't play it sage with eclair au chocolat or Paris-brest, be adventurous! Cheese, Cheese, Cheese!!! Cheese shops normally sell around 300 types of cheese when it is the right season for goat cheese... so you can choose! My personal favorites are Roquefort and very old Conté where the salt has aggregated. Book a 3h Gourmet Tour - you will cover your basis with cheese and bread, and you might want to try the French delicacy of Foie Gras (if you are not vegetarian). CHOCOLATE - Book a Chocolate Tour - Some great chocolate artists in Paris! Still need to find your hotel? CUPS OR CARDS - It has been existing for a long time - 3 cups and a pea or 3 cards with one Queen and you have to find it. They are pros at distracting and diverting. Don't start playing! Epic guide Claire! I love it, next trip to Paris this will be really helpful. Thanks so much for the info ?? I do not create nor do I book personalized itineraries. I am not a travel agent, in case this is what you are requesting. I wish you wonderful travels! You are amazing !! Your guide was very helpful to plan our days in Paris !!! Thanks for taking the time to write a comment. I am glad you are finding my content useful. I loved visiting the Ile de la Cite. I sadly didn’t have the time to see Saint Chapelle, but I am going back later this year so hopefully, I will get to see it. Great advice to book tickets in advance as well. I am not fond of waiting in a long queue. This is the best, most detailed travel blog guide I’ve ever seen. Thank you for doing this (and extra thanks for including the free itinerary). I wish you wonderful travels ! This was so incredibly helpful, especially about the scams. I don’t know how many people tried to tie strings on my boyfriend and I, or get us to sign petitions today in front of the Eiffel Tower. It was so nice feeling knowledagable about what to look for! And the links to the tours were also great, thanks so much! !